AMJ Campbell Winnipeg has been dedicated to providing exceptional personalized service since 1998. The branch has earned Quality Awards, named a Platinum Agent for Atlas Van Lines, and individual sales achievement awards over the years. As a Canadian Association of Movers (CAM) Certified Agent and Sales Consultant, we strive to offer unparalleled service to our customers and are committed to each unique relocation. AMJ Campbell Winnipeg prides itself on community involvement, partnering with many local organizations. 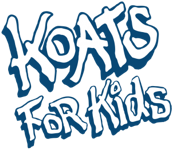 Of note, the branch participates in the collection and distribution of donated outerwear for Koats for Kids, a United Way-led program that provides children with warm winter clothing. Offering a wide variety of relocation services for local, long-distance, and international moves, we look forward to helping you settle into your new place. Don’t see what you’re looking for? Feel free to contact us.